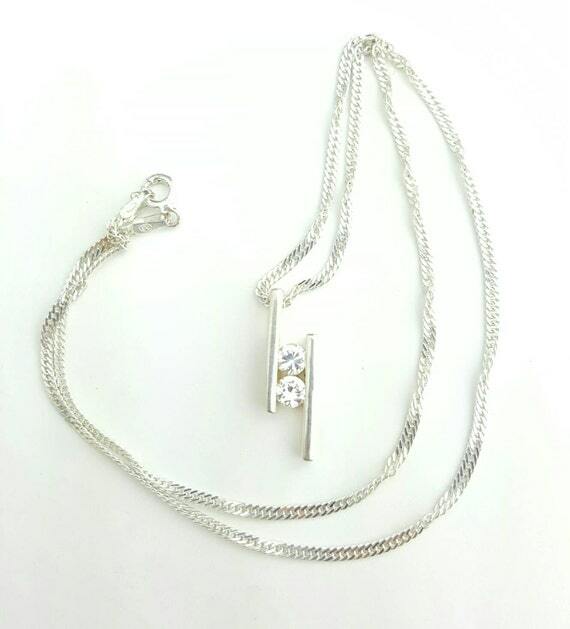 Elegant vintage sterling silver Modernist asymmetrical pendant with two clear gem stones on a beautiful loose spiral curb chain. Great vintage condition. Working spring ring clasp.